Sear the perfect steaks, pork chops or burgers. High temperature grilling is quick and easy or using the two dampers for accurate control, you can lower the heat to a more moderate temperature for other grilled foods. 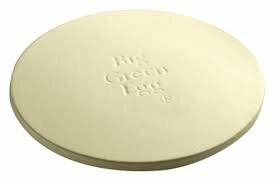 Using the indirect cooking method with a Plate Setter, the Big Green Egg bakes bread, pizza, casseroles, cobblers and pies better than your kitchen oven. 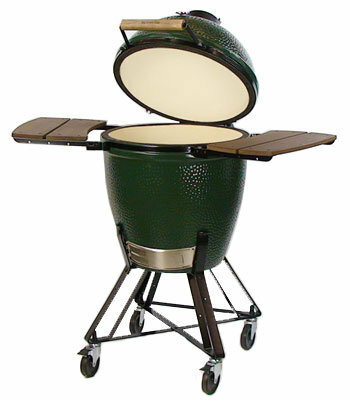 The Big Green Egg retains heat and moisture so well that foods don’t dry out. The insulating ceramics of the Big Green Egg allow you to precisely control the temperature even at low heat with the aromatic wood smoke flavor. Slow cook at low heat for sixteen to eighteen hours. 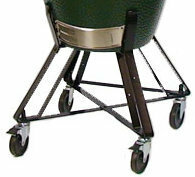 The Big Green Egg Nests are designed to raise your EGG to a comfortable cooking height while allowing for easy mobility. Nests are made of durable porcelain-coated steel and the XLarge, Large, Medium and Small Nests include a bracer bar and two locking casters. 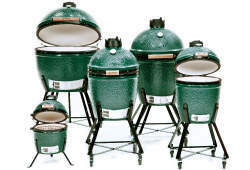 The Big Green Egg Wooden Mates are used with an EGG in a Nest and provide convenient working or serving space for your EGG. The set of two mates can be folded down when not in use. 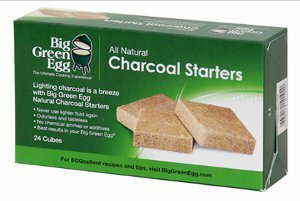 Big Green Egg 100% Organic Lump Charcoal is easy to light and is usually ready to cook in about 10 minutes. Plus, it burns hotter and more efficiently, with more BTUs, than charcoal briquettes. Our premium lump charcoal also produces less ash so there is minimal waste and clean up, delivering more value and performance in every bag. But, most importantly, food tastes better, without harsh chemicals or odors that can be released when cooking with briquettes or other similar products. 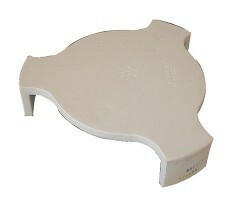 Grill Gripper, Easily and safely grips and lifts stainless and porcelain cooking grids.